‘Die Voortrekkers’ is a modern African movement, predominantly made up of South African youth, who are empowered to act as positive citizens in order to be successful. 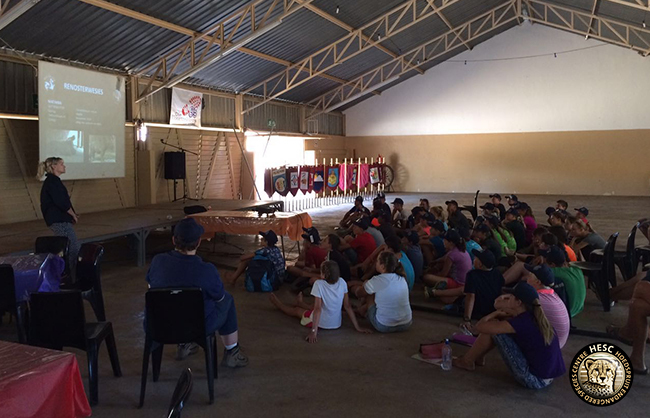 Recently, one of the facilitators of the grade 7 Voortrekkers approached HESC to request a presentation by Adine Roode. 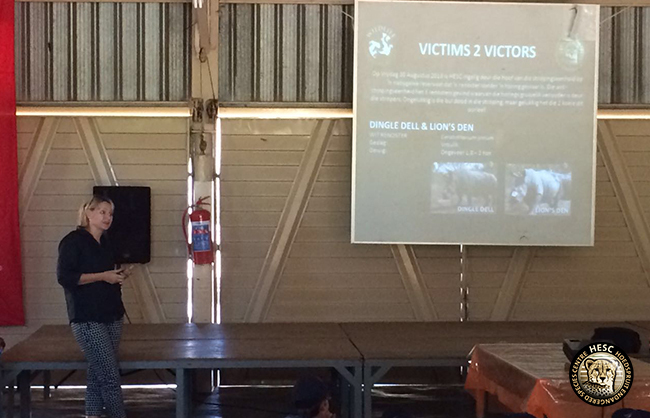 She was asked to present to 60 grade 7 learners as part of the Voortrekker Inheritance Specialisation programme. 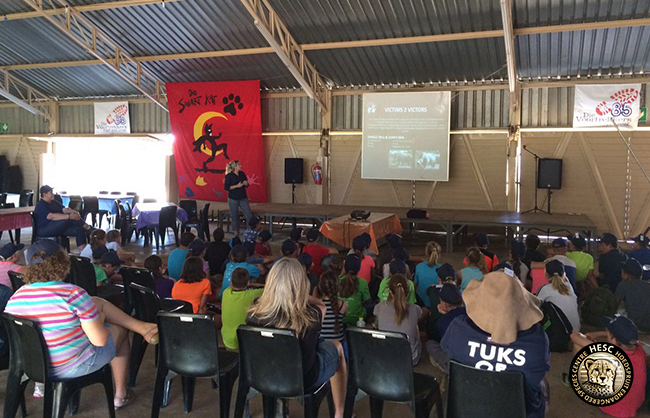 The camp programme consists of 4 days and is currently taking place at Hartbeesfontein Voortrekker farm between Pretoria and KwamHlanga. The focus of their programme is environmental studies, specifically relating to conservation. Adine was only too happy to oblige and visited the learners to inform them about the Rescued Rhinos @ HESC, the work and research done at HESC, and the general field of conservation and preservation of species for future generations. She also addressed the current rhino poaching situation in South Africa, together with the myths surrounding rhino poaching. The learners actively participated in the presentation and also participated in a quiz at the end of the presentation. The Voortrekkers will make a donation out of their own spending money to assist HESC in the fight against rhino poaching. 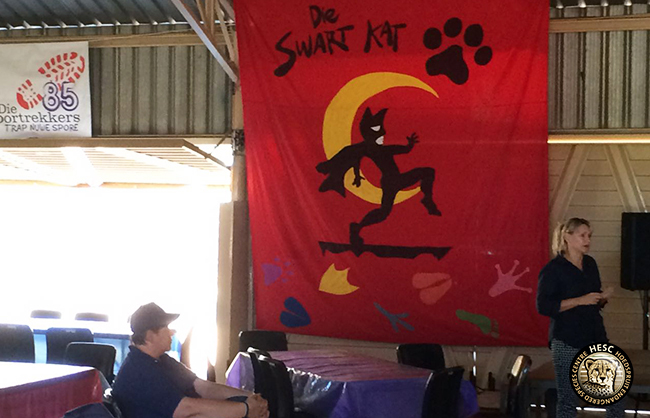 We would like to thank Die Voortrekkers for their interest in the important work we do, and for their support.